Did you know that vitamin B3 can be considered one of the best nutrients available for mild to severe states of stress including PTSD? … If you live in Toronto, Mississauga, Oakville, Milton, Burlington, Hamilton, or Niagara you might consider advanced niacin therapy for stress & PTSD. Stress is a factor in many illnesses and advanced niacin (vitamin B3) therapy has the potential to tame neurotransmitter overstimulation which goes on insidiously and uninhibited in states of severe stress and PTSD. Looking at stress from a nutrient and biochemical versus a disease perspective, we see that mineral deficient stress, adrenal anxiety, and other stress factors (see Part 1, Part 2, and Part 3 of my stress series) rule in as potential causes of stress. Here in this article we take a closer look at niacin deficiency as a stress factor in PTSD. The top symptoms of PTSD are anxiety, panic and hyperarousal. The level of stress can be activated by one traumatic event but more often, it is activated by an accumulated series of traumas that build up with time. Suicide risk is quite high among PTSD sufferers. 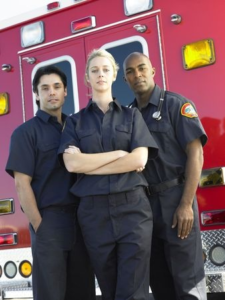 PTSD can be triggered by a single or repeated traumatic event(s) and sufferers include military trauma victims, prisoners of war, emergency first responders (firefighters, paramedics, police, correctional officers, 911 operators), and abuse victims. The conventional medical paradigm avails the use of mood disorder drugs and counselling. Vitamin B3 (niacin, niacinamide, inositol hexanicotinate, NADH) is a strong methyl acceptor that has the potential to tame unregulated stress induced overproduction of neurotransmitters. Niacin’s strong methyl accepting ability positions it as a nutrient with great utility in alleviating mild to severe states of stress. Stress was regarded by Dr. Abram Hoffer as a trigger for excess adrenaline formation and oxidized intermediates, the latter of which could trigger hallucinations (Hoffer, 1994). Although vitamin B3 as a treatment for PTSD has not been exclusively researched, a common pathway of stress induced overproduction of adrenaline factors in, and niacin happens to have a neutralizing effect at that level. Hoffer went on to relate how vitamin B3 could be quite useful for the treatment of severe stress in malnourished Canadian ‘prisoners of war’ (Hoffer, 1983). Vitamin B3 can help in varying degrees with the following conditions/symptoms: fatigue, heart disease and high cholesterol (niacin or inositol hexanicotinate), ADD (mind-running), PTSD, osteoarthritis, Alzheimer’s disease, erectile dysfunction, and eye conditions. The longevity component of niacin and niacin’s use in schizophrenia are other examples of the widespread utility of vitamin B3. The BodyMindLink series by Dr Ray Pataracchia ND provides insight on Naturopathic approaches that matter and have the potential to benefit general and mental health. Clinical approaches discussed are implemented by the Naturopathic Medical Research Clinic (NMRC) in Toronto, Ontario. Our clinic treats a wide array of health conditions.